What perspectives should be captured on camera? 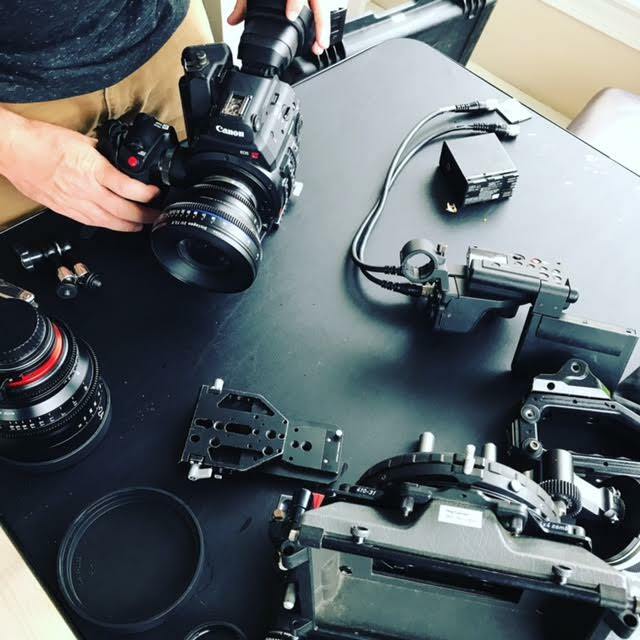 What equipment will be used during the production? What will the narrative of our finished product be? 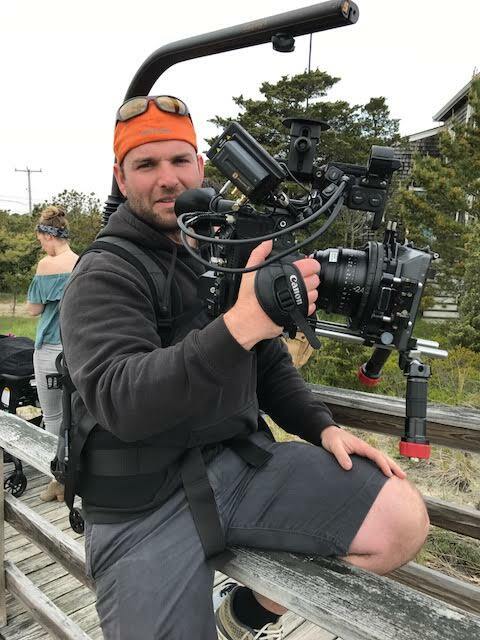 Kurt Graser, Partner and Lead Video Producer, believes that the most influential circumstance that needs consideration is often one out of our control. The weather, he explains, can often make or break the fluid process of film production. A more recent example of this comes from a shoot Knack Factory did in late May, where the forecast of rainfall in Cape Cod posed challenges for filming that was originally supposed to be shot along the coastline. 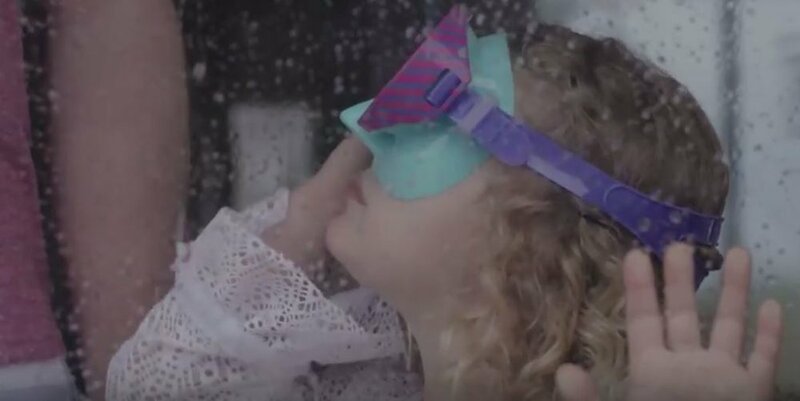 The project, a commercial video for the company Evenflo, aimed to capture the essence of baby products with the narrative of a family leaving their home for a summertime vacation. Products such as car seats and strollers were to be used, and up until Kurt checked the weather two weeks before the planned production, everything seemed to be working in his favor. Much to his disappointment, the weather looked terrible. During the time the crew was set to shoot, it was supposed to rain. Hoping that the weather forecast would change to sunshine as the days grew closer, the team waited it out. On Sunday evening, just 12 hours before their first schedule shot on Cape Cod, our Producer Lindsay Heald called the National Weather Service and asked for a detailed report on the conditions. She was told the storm would only get worse, so the KF team had to come up with a plan and do so quickly. In that short amount of time, with input from the entire team, we changed the entire focus of the original project to accommodate the weather. Instead of focusing on how to “Embrace the Summer,” it was decided to focus on a more realistic concept of, “Embrace the Unexpected.” Crew members who have children of their own all agreed that this concept is something most parents experience. Evenflo was more than happy to work with the creative accommodation, but the change in plans presented a challenge to the entire team. The shot schedule changed, shooting locations were rescheduled, even the details of shot perspective had to be changed. The project, which had taken months of preparation, needed to be completely reworked in a matter of 12 hours. Luckily, Kurt says the entire team worked really well together to make the new concept a reality. He admits, it could have been a disaster, but due to experienced crew, everyone on the team did exceptionally well pivoting fast toward the client’s wants and needs. Instead of shooting video on the beach, like originally planned, they shot at the movie theater, an ice cream shop and at three of the houses they rented for the commercial production. Kurt says that more often than not, weather plays a super important role in the process of their day-to-day projects. Especially during the summertime, when a lot of clients want New England’s scenic and natural landscape to be a highlight of their video. In the case of the video shoot with Evenflo, the KF production team had to take into consideration how the cold temperatures and dreary rainfall would affect the young children actors and wanted to make sure they weren’t exposed to it for extensive periods of time. When working in bad weather, particularly rain, the risk of damaging equipment begins to increase. More recently, Kurt points to an example of filming on a golf course. The goal was to shoot content to promote golf training aides on a beautiful summer day, but yet again sheets of rainfall were in the forecast. He recalls being in the middle of that golf course with Producer Thomas Starkey when a thunder and lightening storm darkened the field. With a strong wind gust and sudden downpour, they retreated under a tiny tent and waited until it was over. Overall, the production was a success, but not without the trials that rainfall cast down on them. On days where bad weather can make or break a video shoot, Kurt says the team just has to do what they can to make the project a reality. If someone wants to do video on the beach, hearing and seeing rain is not what they’re going to want to capture. So unless there is a creative way to work around the weather, the shoot will be rescheduled or cancelled entirely. While it can be a nuisance to organize around the unpredictable patterns of New England weather, it poses a challenge that Kurt says all producers will encounter at some point or another during their career endeavors. Like all challenges life throws our way, we must overcome the obstacles before us by forging a path of newfound knowledge, fresh with creative expression and ready for new ways of thinking. Site & all contents ©2019, Knack Factory, Portland, ME.